Ms. Anderlini is a co-founder of the International Civil Society Action Network (ICAN) for women’s rights, peace and security. For nearly two decades she has been a leading international advocate, researcher, trainer and writer on conflict prevention and peacebuilding. In 2000, she was among the civil society drafters of UN Security Council Resolution 1325 on women, peace and security. Between 2002 and 2005, as Director of the Women Waging Peace Policy Commission, Ms. Anderlini led ground breaking field research on women’s contributions to conflict prevention, security and peacemaking in 12 countries. Since 2005, she has also provided strategic guidance and training to key UN agencies, the UK Government and NGOs worldwide. Between 2008 and 2010, Ms. Anderlini was Lead Consultant for a 10-country global initiative of the UN Development Program (UNDP) on “Gender, Community Security and Social Cohesion” with a focus on men’s experiences in crisis settings. Between 2005 and 2014, she was a Research Associate and Senior Fellow at the MIT Center for International Studies. In 2011, she served the first Senior Expert on Gender and Inclusion on the UN’s Mediation Standby Team. She has also served on the Advisory Board of the UN Democracy Fund (UNDEF), and was appointed to the Civil Society Advisory Group (CSAG) on Resolution 1325, chaired by Mary Robinson in 2010. In 2013, she was appointed to the Working Group on Gender and Inclusion of the Sustainable Development Network for the post-2015 agenda. Ms. Anderlini has published extensively on gender, peace and security issues, including Women building peace: What they do, why it matters (Lynne Rienner, 2007). She is the 2014 recipient of the United Nations Association of the “National Capital Area Perdita Huston Award” for human rights. Ms. Anderlini currently serves on the Senior Advisory Council of World Learning and the Board of the National Iranian American Council (NIAC). She holds an M.Phil in Social Anthropology from Cambridge University. 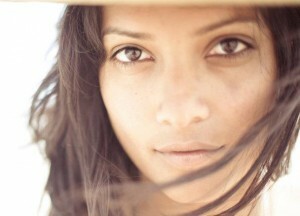 Iranian by birth, she is a UK citizen, and has twin daughters. Imam Dr Muhammad Ashafa is co-director of the Interfaith Mediation Center of the Muslim-Christian Dialogue in the Kaduna State, Nigeria. As the eldest son of a Muslim scholar and spiritual leader of the Tijaniyya Sufi order from a long line of Imams, Muhammad Ashafa grew up in a conservative environment, eventually following the family vocation and becoming an Imam himself. Unlike his elders, he belonged to a generation influenced by the 1979 Islamic Revolution of Iran, the Saudi Salafi preachers and the Egyptian Muslim Brotherhood, which brought him to join an Islamist group determined to islamize northern Nigeria and drive out non-Muslims. This movement reached its peak during the 80’s and 90’s. Mr. Ashafa went on to become the Secretary General of the National Council of Muslim Youth Organizations, an organization promoting hostility against Christians. During a confrontation between Christians and Muslims in Zongon Kataf, Mr. Ashafa lost two cousins, as well as his spiritual mentor, while they were fighting against the Secretary General of the Kaduna State chapter for the Youth Christian Association of Nigeria, Pastor James Wuye. After a mutual friend brought them together, the two men slowly built mutual respect, and decided to work together to bridge the divide between their communities. In 1995, Mr. Ashafa and Mr. Wuye formed the award-winning Interfaith Mediation Centre, a religious grassroots organization that, with over 10,000 members, reaches into the militias and trains the country’s youth, women and leaders to become civic peace activists. The center provides interfaith training to young people in schools and universities, to women, religious leaders and politicians. It has contributed to defusing tensions after the 2002 and 2004 clashes in Kaduna and Yelwa Shendam. Mr. Ashafa and Mr. Wuye mediated in Kenya, after the disputed election in 2007-2008, and they have fostered trust-building in Chad, Sudan, South Sudan, Lebanon, Egypt, Iraq, Sierra Leone, Australia, Malaysia, Sweden, Canada and inside a British prison. Dr. Brundtland inherited another passion from her father – political activism. At the age of seven, she was enrolled in the children’s section of the Norwegian Labour Movement and has been a member ever since. In 1974 she was appointed Minister of the Environment, a post she held until 1979, when she left the government to concentrate on the organization of thein April 1939. Dr Brundtland’s first choice of career was to become a doctor like her father. She studied medicine in Oslo and qualified as a physician. She also received a Master of Public Health degree from Harvard University in the United States. Her interest in public health led her to accept several appointments in the public medical service in Oslo in the 1960s. Labour Party. In 1981, following the resignation of Prime Minister Nordli, Gro Harlem Brundtland became the first woman Prime Minister of Norway, leading a minority Labour government for nine months. At 41 she was also the youngest person to be appointed Prime Minister in Norway since the office was created in 1814. 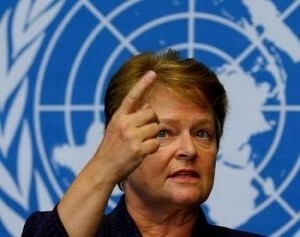 In the early 1980s, Dr. Brundtland became a member of the UN Commission on Disarmament and Security. She later chaired the World Commission on the Environment and Development, which produced the report entitled ‘Our Common Future’. Her international work considerably raised the profile of Norway in world affairs and in 1988 she was awarded the Third World Foundation Prize for leadership on environmental issues. Dr. Brundtland became Prime Minister for the second time in 1986, appointing a cabinet consisting of eight women and nine men, making it the most heavily female-dominated cabinet in Norwegian history. She lost the 1989 election, but when the victorious center-right coalition failed in 1990 she returned to power, winning another election in 1993. She remained Prime Minister until 1996. Dr. Brundtland returned to the medical field in 1998 when she was elected for a five-year term as Director General of the World Health Organization. She later served as the UN Special Envoy on Climate Change from 2007 until 2010. Dr. Brundtland currently continues her international engagement as Deputy Chair of The Elders. 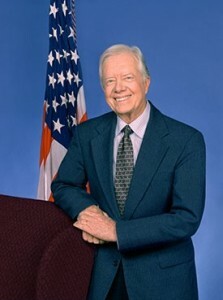 Jimmy Carter (James Earl Carter, Jr.), 39th president of the United States, was born in October 1924, in the small farming town of Plains, Georgia. He grew up in the nearby community of Archery. His father, James Earl Carter Sr., was a farmer and businessman; his mother, Lillian Gordy Carter, a registered nurse. He was educated in the public school of Plains, attended Georgia Southwestern College and the Georgia Institute of Technology, and received a Bachelor of Science degree from the United States Naval Academy in 1946. In the Navy he became a submariner, serving in both the Atlantic and Pacific fleets and rising to the rank of lieutenant. Chosen by Admiral Hyman Rickover for the nuclear submarine program, he was assigned to Schenectady, N.Y., where he took graduate work at Union College in reactor technology and nuclear physics, and served as senior officer of the pre-commissioning crew of the Seawolf, the second nuclear submarine.On July 7, 1946, he married Rosalynn Smith of Plains. When his father died in 1953, he resigned his naval commission and returned with his family to Georgia. He took over the Carter farms, and he and Rosalynn operated Carter’s Warehouse, a general-purpose seed and farm supply company in Plains. He quickly became a leader of the community, serving on county boards supervising education, the hospital authority, and the library. In 1962 he won election to the Georgia Senate. He lost his first gubernatorial campaign in 1966, but won the next election, becoming Georgia’s 76th governor on Jan. 12, 1971. He was the Democratic National Committee campaign chairman for the 1974 congressional and gubernatorial elections. On Dec. 12, 1974, he announced his candidacy for president of the United States. He won his party’s nomination on the first ballot at the 1976 Democratic National Convention and was elected president on Nov. 2, 1976. Jimmy Carter served as president from Jan. 20, 1977 to Jan. 20, 1981. Significant foreign policy accomplishments of his administration included the Panama Canal treaties, the Camp David Accords, the treaty of peace between Egypt and Israel, the SALT II treaty with the Soviet Union, and the establishment of U.S. diplomatic relations with the People’s Republic of China. He championed human rights throughout the world. On the domestic side, the administration’s achievements included a comprehensive energy program conducted by a new Department of Energy; deregulation in energy, transportation, communications, and finance; major educational programs under a new Department of Education; and major environmental protection legislation, including the Alaska National Interest Lands Conservation Act. Ms. Cason has been called a catalyst for systemic change. She first focused on women’s rights when she was denied equal opportunity in the world of investment real estate, a field she excelled in for over 20 years. An advocate for the empowerment for women and girls, she co-founded the prestigious International Women’s Forum in her native San Francisco Bay Area. Ms. Cason has focused on education, women’s leadership and poverty reduction over the last 15 years through her association with major organizations such as Clinton Global Initiative, Save the Children, the Women’s Leadership Board and its Women and Public Policy Program at the Harvard Kennedy School of Government. For example, as the Chair/CEO of the Cason Family Foundation (CFF), she spearheaded efforts to develop literacy for girls in Upper Egypt; worked to improve youth employment throughout the Middle East and underwrote health programs in Liberia in partnership with Save the Children, Queen Rania of Jordan, Liberia’s President Ellen Johnson Sirleaf and Harvard University. Ms. Cason served as Chair for the Women’s Leadership Board at Harvard Kennedy School from 2003 through 2009, and remains as Chair Emeritus and serves on the Executive Committee. During her tenure, the Board sponsored and continues to sponsor key research on women and girls and established collaborative programs with the Women and Public Policy Program to train young women leaders in developing countries. Ms. Cason is recognized for her ability to bring together key individuals from diverse disciplines, focusing efforts to tackle some of the world’s most difficult problems. As Chair/CEO of CFF, she created and led the ‘Global Waste Pickers Initiative’ chosen by President Clinton in September 2010 as the Clinton Global Initiative’s first “mega-commitment”. Ms. Cason assembled global key players from all sectors – public and private, academic and nonprofits, and waste picker organizations – to empower waste pickers and recyclers, an estimated 15 million individuals, many of whom are women and children. Under her leadership, CFF worked in collaboration with the World Bank to create taxonomy of waste so that benchmarking and determination of types of waste and sustainable issues could be better addressed. Ms. Cason also founded Sustainable Waste Resources International (SWRI) to create greater awareness of the value of waste as a resource. 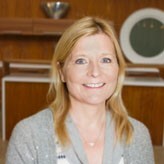 Ms. Cason is currently in collaboration with Nokia executives to create The Mobile Access Network for Global Opportunities (MANGO) to provide mobile technology to assist with poverty reduction, global education in various sectors such as agriculture, health, women’s education and economic empowerment. The Mobile Access Network for Global Opportunities (MANGO) will launch in India in 2015. She has recently been elected to serve on the board of A Blade of Grass (ABOG), a non-profit that nurtures socially engaged art. A native of the San Francisco Bay Area, Ms. Cason was a pioneer woman in commercial real estate, development and syndication. She was an early advocate for women’s financial empowerment. She created a program called “Women and Money: The Changing Consciousness of Money Management,” at her alma mater, University of California, Berkeley, which in the 1970s became the first program of its kind. 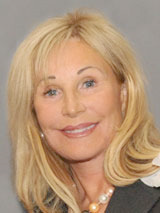 She is a member of the New York Women’s Forum and the Trusteeship in Los Angeles. Ms. Cason was honored in 2009 by Women’s eNews as one of “21 Leaders for the 21st Century” and honored by Women Who Care in 2012. She has authored articles on Women and Empowerment and co-authored a book on entrepreneurship in 2009: A Cup of Cappuccino. Dr. Alan Channer is a Media and Peace-building Consultant, and the Director of For the Love of Tomorrow Films. 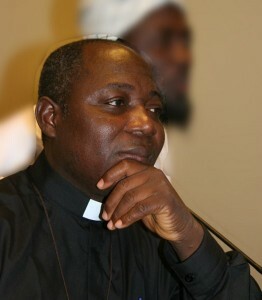 Most notable of Alan Channer’s documentaries is The Imam and the Pastor (2006) – which was launched at UN Headquarters, screened at the World Bank and in the House of Commons, broadcast on Al-Jazeera Arabic and from Sweden to Somalia, won first prize at the Africa World Documentary Film Festival and was part of the official selection at Cinema Verité in Paris. 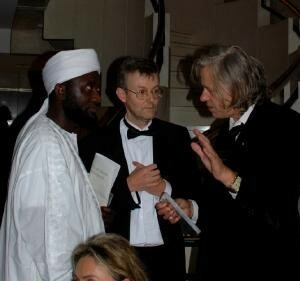 Its sequel, An African Answer, was described by Kofi Annan as “a very important film”. Dr. Channer is presently directing a United States Institute of Peace & Initiatives of Change project in Kenya, and working with the UN and civil society networks in Chad on media and mediation. He has recently written the chapter ‘Trust-building and mobile pastoralism in Africa’, for the book Restoring land: reclaiming landscapes for a sustainable future (Elsevier 2015). He is about to produce The Imam and the Pastor in the Songo language, for dissemination in the Central African Republic. Dr. Channer was born in London in 1964, the son of cameraman and producer David Channer. After working as a research scientist in Africa, the South Pacific and China, Alan joined his father on a film project to foster healing and social renewal in post-war Cambodia. The father and son team received an award from the Cambodian government and a commendation from King Norodom Sihanouk for this work. Shortly after the Nobel Peace Prize Forum, Dr. Channer will present The Imam and the Pastor at the iREP Film Festival in Lagos, Nigeria. Alan Channer is based in Kenya, with his French wife and two children. Adama Dieng, a Senegalese lawyer, assumed his position as United Nations Under-Secretary-General on 1September 2012. Prior to his appointment he was serving as Assistant Secretary-General and Registrar of the International Criminal Tribunal for Rwanda since 2001. Before joining the United Nations, Mr. Dieng was for ten years the Secretary General of the Geneva-based International Commission of Jurists (1990-2000). While holding the post of Secretary General, Mr. Dieng was appointed as the United Nations Independent Expert for Haiti (1995-2000). He also served in 1993 as Envoy of the UN Secretary General to Malawi to mediate between the Government and the pressure Groups. He was the driving force behind the establishment of the African Court on Human and Peoples’ Rights and produced also the draft of the African Convention to Fight Corruption. He is a former board member of various institutions, including the International Institute for Democracy and Electoral Assistance, the International Institute of Humanitarian Law, the International Human Rights Institute (Institut Rene Cassin) and the Africa Leadership Forum. In recognition of his contribution to the strengthening of the rule of law and the fight against impunity, he was appointed an Honorary Chairman of the Washington-based World Justice Project. Jonathan Granoff is an attorney, author and international advocate emphasizing the legal, ethical and spiritual dimensions of human development and security, with a specific focus on advancing the rule of law to address the threats posed by nuclear weapons. He is president of the Global Security Institute, Senior Advisor to the ABA’s Committee on Arms Control and National Security and Co Chair of the ABA Blue Ribbon Task Force on Nuclear Non-proliferation. He is Senior Advisor to the Nobel Peace Laureate Summit and has served as Vice President and UN Representative of the Lawyer’s Alliance for World Security. He serves on numerous governing and advisory boards including: the ABA International Law Section, Lawyers Committee on Nuclear Policy, Fortune Forum, Jane Goodall Institute, the NGO Committee on Disarmament, Peace and Security and Middle Powers Initiative. Mr. Granoff is the award-winning screenwriter of The Constitution: The Document that Created a Nation, and has articles in more than 50 publications and books including: The Sovereignty Revolution, Toward a Nuclear Weapons Free World, Imagining Tomorrow, Analyzing Moral Issues, Perspectives on 911, Toward a World In Balance, Reverence for Life Revisited, and Hold Hope, Wage Peace. He has been a featured guest and expert commentator on hundreds of radio and television pro-grams, testified in Congress and at the UN numerous times and has, since 2003, addressed the annual Nobel Peace Laureate Summit in Paris and Rome. Reverend Mark S. Hanson is a Distinguished Fellow in Augsburg’s Christensen Center for Vocation. He leads national and international initiatives to advance interfaith dialogue, inspire peacemaking, and support the College’s commitment to vocational discernment. Previously, Rev. 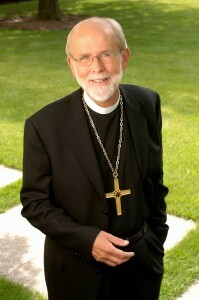 Hanson served as presiding bishop of the Evangelical Lutheran Church in America (ELCA). He was elected to this position by the ECLA Churchwide Assembly in August 2001 and was re-elected in 2007. In 2003, he was elected to serve, concurrently, as president of the Lutheran World Federation, a position he held until 2010. Before being elected as ELCA presiding bishop, he served as bishop of the Saint Paul Area Synod. Prior to that, he served as pastor of three Minnesota congregations: Prince of Glory Lutheran Church, Minneapolis; Edina (Minnesota) Community Lutheran Church; and University Lutheran Church of Hope in Minneapolis. In his work as president of the Lutheran World Federation and as presiding bishop of the ELCA, Reverend Hanson has traveled widely throughout the world, sharing a confident hope in God’s promises and a vision of the joyful freedom in Christian community and mission. Rev. Hanson is widely known as a passionate evangelical leader and an articulate advocate for the renewal of the church’s preaching and public voice, for the strengthening of ecumenical and inter-religious relationships, and for reconciliation and justice in society. Rev. Hanson has received several honorary degrees, including Doctor of Humane Letters from Augsburg College, Wittenberg University, and Grand View University, Doctor of Humanities from Capital University, Doctor of Divinity from Lenoir-Rhyne College, Wartburg Theological Seminary, Susquehanna University, Wartburg College, and The Academy of Ecumenical Indian Theology and Church Administration. He is the author of Faithful Yet Changing, the Church in Challenging Times and Faithful and Courageous, Christians in Unsettling Times. Born in Minneapolis on December 2, 1946, he graduated from Augsburg College with a B.A. in sociology. He was a Rockefeller Fellow at Union Theological Seminary, New York City, and received a Master of Divinity degree there in 1972. He also attended Luther Seminary, St. Paul,Minnesota, and was a Merrill Fellow at Harvard Divinity School in 1979. Paula Horne-Mullen is the mother of 8 children. She was raised by her Grandmother as a Dakota, a member of the Sisseton Wahpeton Oyate in northeast South Dakota USA, and did not experience western society until 1968 upon the death of her grandmother who did not allow electricity in their home because she believed it belonged to the Thunder spirits and respected them too much to use its energy. Because she was raised in this traditional way, Paula was taught the importance of Mother Earth and the delicate connectedness between nature and humans. 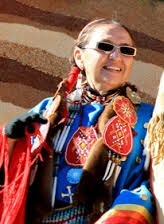 She graduated from the first Native controlled school in the United States called Red School House which taught the importance of Grandmother Earth, and instilled each student with the understanding that when you are called upon to make a difference toward positive change it is your responsibility to do so. Paula knew she must make changes for her children’s futures. In 1983 after several years participating in meetings and ceremonial gatherings with many others who shared the same concerns about Grandmother Earth, Paula created an event to bring awareness to a Sacred Site called Pipestone Monument in western Minnesota. In 1995, she joined Nac’a Arvol Looking Horse, who is the 19th Generation Keeper of the Sacred White Buffalo Calf Bundle, assisting him in planning the journey to Bear Lodge (Devils Tower National Monument, Wyoming USA) on horseback for the first World Peace and Prayer Day. In the past 20 years, this annual June 21st event has now traveled around the world including Bdote Minnesota when an international Code for Holy Sites that includes indigenous sacred sites was first discussed. She accompanies and supports Nac’a as he fulfills his life work and plays an instrumental role in uniting All Nations, All Faiths in One Prayer at Sacred Sites around the world, praying for the healing of Mother Earth and all the people. 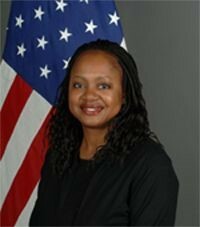 Ambassador Bonnie Jenkins was nominated by President Obama in April 2009 and confirmed by the U.S. Senate in June 2009 as the Department of State’s Coordinator for Threat Reduction Programs in the Bureau of International Security and Nonproliferation. Ambassador Jenkins promotes the coordination of Department of State Cooperative Threat Reduction (CTR) and U.S. government programs in chemical, biological, nuclear and radiological security (CBRN). She also works closely with international partners in coordinating global CBRN security programs. She is the Department of State lead on the Nuclear Security Summit, and she is also engaged in the Global Health Security Agenda (GHSA), a multi-sectoral initiative dedicated to reducing infectious disease threats around the world. Ms. Jenkins also served as General Counsel to the U.S. Commission to Assess the Organization of the Federal Government to combat proliferation of weapons of mass destruction, and as a consultant to the 2000 National Commission on Terrorism. Additionally she was a fellow at the RAND Corporation in their National Security Division. A retired Naval Reserve officer, she completed a year-long deployment to U.S. Central Command (CENTCOM). She has received numerous awards in her time as an officer in the U.S. Naval Reserves. Ambassador Jenkins has been an adjunct professor at Georgetown University Law School. She was a fellow at the Belfer Center for Science and International Affairs at the John F. Kennedy School of Government, Harvard University. She has a Ph.D. in International Relations from the University of Virginia; an LL.M. in International and Comparative Law from the Georgetown University Law Center; an M.P.A. from the State University of New York at Albany; a J.D. from Albany Law School; and a B.A. from Amherst College. She also attended The Hague Academy for International Law. Ms. Keshari is a filmmaker, shooter and storyteller, with a keen eye for choosing narratives that offer underrepresented perspectives. Her focus has manifested itself through a wide array of work, including feature length documentaries, adventure sports programming and photojournalism. She has contributed to original context ventures during her tenure at ESPN (ESPN Films, X Games, E:60) and has produced TV series, feature length documentaries (Food Chains featuring Eric Schlosser and Eva Longoria, Bigger). Her photography has been showcased in numerous publications. Nac’a (commonly known as Chief but with greater meaning) Arvol Looking Horse was born on the Cheyenne River Reservation in South Dakota USA, and was raised in the traditional and spiritual ways of the Lakota. At the age of 12 he was appointed to be the 19th Generation Keeper of the Sacred White Buffalo Calf Pipe Bundle, becoming the spiritual leader for the Lakota, Dakota and Nakota Nations (called the “Great Sioux Nation”), a position that he has filled for almost 50 years. Soon after this appointment, still as a young boy, Nac’a received a dream that led to his lifelong Peace Work around the globe, calling on all colors of skin to pray at their respective sacred sites for healing of Grandmother Earth, for healing between all the Relatives, and for protection of these sites. It was not until 1978 however, that Native Americans were legally permitted in the United States to practice their faith traditions. Even after the US adopted the American Indian Religious Freedom Act, challenges continued to exist regarding access to sacred sites and the freedom to pray in traditional ways. As a spiritual leader, Nac’a has brought international awareness to the large gap between government policies and their implementation. His primary responsibilities however have always remained with the People as he conducts ceremonies for families and for the People during pilgrimage horse journeys over hundreds of miles at a time, bringing together the prayers and intentions while traveling hundreds of miles at a time on horseback. 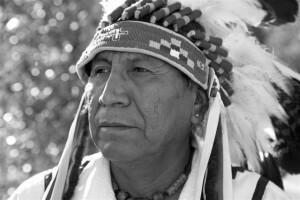 In 1996 through spiritual guidance, Nac’a Looking Horse sponsored a spiritual horseback ride from Canada to Wyoming where he led the first “World Peace and Prayer Day” (WPPD), bringing awareness to the protection of the Bear Lodge Sacred Site as Nac’a spoke out against the damaging recreational climbing and the mistranslated, derogatory name (Devils Tower) given to the site. He has been a consistent voice in the United States in a shared effort alongside traditional wisdom keepers to return the respectful name honored by Indigenous Peoples. During the past two decades, the June 21st ceremony has traveled around the globe as people gather to pray in their own Religion/Faith Tradition. Nac’a seeks to have the United Nations recognize June 21st as “Honoring Sacred Sites Day” and pass the Universal Code for Holy Sites with the inclusion of Indigenous sacred sites in addition to religious man-made structures. He believes that through united prayers and efforts we can heal an ailing planet, and he has therefore committed his life journey to this effort. 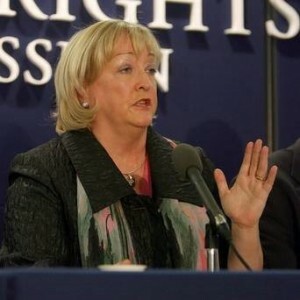 Monica McWilliams was a co-founder and leader of the Northern Ireland Women’s Coalition political party and was elected to a seat at the Multi-Party Peace Negotiations, which led to the Belfast (Good Friday) Peace Agreement in 1998. She served as a member of the Northern Ireland Legislative Assembly from 1998 to 2003 and the Northern Ireland Forum for Dialogue and Understanding from 1996-1998. She later served as the Chief Commissioner of the Northern Ireland Human Rights Commission from 2005 to 2011, responsible for drafting the advice on a Bill of Rights for Northern Ireland. Ms. McWilliams is currently a professor of women’s studies at the University of Ulster, affiliated with the University’s Transitional Justice Institute. 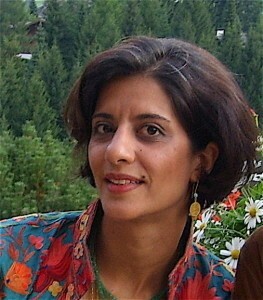 Her published work focuses on domestic violence, human security and the role of women in peace processes. She is the recipient of two honorary doctorates and a special Profile in Courage Award from the John F. Kennedy Library Foundation. She is a graduate of Queen’s University, Belfast and the University of Michigan, Ann Arbor. Walter Frederick “Fritz” Mondale (born January 5, 1928) is an American Democratic Party politician who served as the 42nd Vice President of the United States (1977–1981) under President Jimmy Carter, and as a United States Senator from Minnesota (1964–1976). He was the Democratic Party’s presidential candidate in the United States presidential election of 1984. At more than 34 years, he has had the longest retirement of any Vice President. 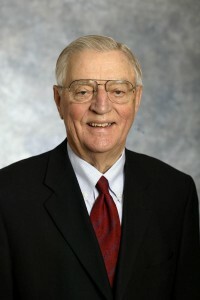 Mr. Mondale was born in Ceylon, Minnesota, and graduated from the University of Minnesota in 1951. He then served in the U.S. Army during the Korean War before earning a law degree in 1956. He married Joan Adams in 1955. Working as a lawyer in Minneapolis, Mondale was appointed to the position of attorney general in 1960 by Governor Orville Freeman and was elected to a full term as Attorney General in 1962 with 60% of votes cast. He was appointed to the U. S. Senate by Governor Karl F. Rolvaag upon the resignation of Senator Hubert H. Humphrey, following Humphrey’s election as Vice President. Mr. Mondale was subsequently elected to a full Senate term in 1966 and again in 1972, resigning that post in 1976 as he prepared to succeed to the Vice Presidency in 1977. While in the Senate, he supported consumer protection, fair housing, tax reform, and the desegregation of schools. Importantly, he served as a member of the Select Committee to Study Governmental Operations with Respect to Intelligence Activities (“Church Committee”). In 1976 Carter, the Democratic presidential nominee, chose Walter Mondale as his vice presidential running mate. Carter and Mondale’s time in office was marred by a worsening economy and, although both were renominated by the Democratic Party, they lost the 1980 election to Republicans Ronald Reagan and George H.W. Bush. In 1984, Mondale won the Democratic presidential nomination and campaigned for president while promoting a nuclear freeze, the Equal Rights Amendment, an increase in taxes, and a reduction of U.S. public debt. Mr. Mondale was defeated by President Reagan. After the election, Mondale joined the Minnesota-based law firm of Dorsey & Whitney and the National Democratic Institute for International Affairs (1986–93), and was credited with successes in Poland and Hungary. President Bill Clinton appointed Mr. Mondale as Ambassador to Japan in 1993; he retired in 1996. In 2002 he ran for his old Senate seat. However, he was defeated. Mr. Mondale then returned to working at Dorsey & Whitney and remains active in the Democratic Party. 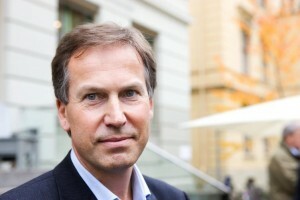 Olav Njølstad is a professor of western contemporary history at the University of Oslo. He has been a Norwegian Research Council fellow, a research fellow at Ohio University, a researcher and senior researcher at the Norwegian Institute for Defence Studies, and research director at the Norwegian Nobel Institute. In 2011 and 2012, he served as senior advisor in the 22 July Commission. Mr. Njølstad has published a number of academic books and articles on topics such as the Cold War, the role of nuclear weapons in international politics, arms races and disarmament, the history of military and civilian technology, as well as the Second World War and Norwegian postwar history. Mr. Njølstad has authored two biographies, about Jens Chr. Hauge and professor Leif Tronstad, and he is now working on a biography of Gro Harlem Brundtland. He has also edited a book on Norwegian Nobel Prize laureates, from Bjørnstjerne Bjørnson to Finn Kydland, and published two thrillers with a historic slant. Mr. Njølstad has a PhD in history. His 1994 doctoral thesis covered U.S. politics vis-à-vis the Soviet Union during the Carter presidency, with particular emphasis on human rights, the relationship to China, the strategic military balance, and regional conflicts in the Middle East, North Africa and Southeast Asia. In 2010, Njølstad received the Sverre Steen award for excellence in the dissemination of history to the general public. Steven Pinker is an experimental psychologist and one of the world’s foremost writers on language, mind, and human nature. His research on visual cognition and the psychology of language has won prizes from the National Academy of Sciences, the Royal Institution of Great Britain, the Cognitive Neuroscience Society, and the American Psychological Association. 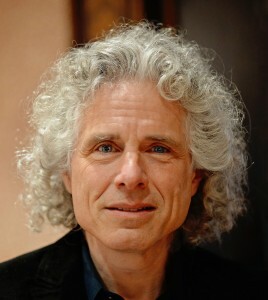 Steven Pinker was born in 1954 in Montreal, Canada. He earned a bachelor’s degree in experimental psychology at McGill University and then moved to Cambridge, Massachusetts in 1976, where he has spent most of his career bouncing back and forth between Harvard and MIT. After teaching at MIT for 21 years, he returned to Harvard in 2003, where he is currently the Johnstone Family Professor in the Department of Psychology. Dr. Pinker has received eight honorary doctorates, several teaching awards at MIT and Harvard, and numerous prizes for his books The Language Instinct, How the Mind Works, The Blank Slate, and The Better Angels of Our Nature. He is Chair of the Usage Panel of the American Heritage Dictionary and often writes for The New York Times, Time, and Slate. Paul Pribbenow is the 10th president of Augsburg College, a private liberal arts college associated with the Evangelical Lutheran Church in America, located in Minneapolis. Since joining Augsburg in 2006, Mr. Pribbenow has enhanced the College’s role as an active community partner in its urban setting. He also has become a leader among the 26 colleges and universities of the ELCA, helping to articulate the gifts shaping and supporting Lutheran higher education in the 21st century. Mr. Pribbenow has led Augsburg College in shaping the College’s strategic plan, Augsburg 2019. 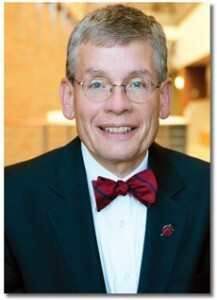 He has advanced the College’s top priority—a state-of-the-art education center housing academic programs in science, business, and religion, among others—and has played key roles in cultivating donor relationships and in attaining the largest philanthropic gift in Augsburg College history. Before coming to Augsburg, Mr. Pribbenow served as president of Rockford College in Rockford, Illinois. He also has served as research fellow for the Center of Inquiry in the Liberal Arts at Wabash College (Indiana); dean for College Advancement and secretary of the Board of Trustees at Wabash College; vice president of the School of the Art Institute of Chicago; and associate dean of the Divinity School of the University of Chicago. Mr. Pribbenow serves on the Board of Directors of the National Association of Independent Colleges and Universities, on the National Campus Compact Board of Directors, and on the Oslo Center US Foundation Board of Directors. Locally, he is chair of the Central Corridor Anchor Partnership and of the VocalEssence Board of Directors and serves on the Executive Committee of the Minnesota Private College Council. Mr. Pribbenow received the William Burke Award for Presidential Leadership in Experiential Education from the National Society for Experiential Education (NSSE) in 2012. He was named a McCormick Presidential Civic Leader Fellow for 2003-04 and for 2005-06. Mr. Pribbenow holds a BA (1978) from Luther College (Iowa), and an MA (1979) and PhD (1993) in social ethics from the University of Chicago. He received the Distinguished Service Award at Luther College in 2008. He is the author of numerous articles on philanthropy, ethics, and not-for-profit management. 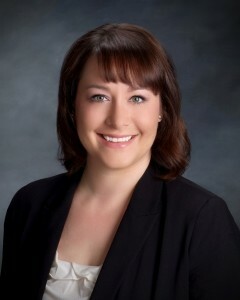 Dr. Courtney C. Radsch is the Advocacy Director at the Committee to Protect Journalists. As a veteran journalist, researcher and free expression advocate, she writes and speaks frequently about the intersection of media, technology, and human rights, with a particular emphasis on the Middle East. Prior to the Committee to Protect Journalists, she worked with UNESCO’s Section for Freedom of Expression, where she coordinated strategy in the Arab region and edited the flagship publication “World Trends in Freedom of Expression and Media Development.” Dr. Radsch previously managed the Global Freedom of Expression Campaign at Freedom House, where she led advocacy missions to more than a dozen countries, U.N. bodies, and the Internet Governance Forum. She has also worked for Al-Arabiya in Dubai, the Daily Star in Lebanon, and The New York Times, and blogs for the Huffington Post. Dr. Radsch holds a PhD in international relations from American University and will publish a book based on her dissertation, “Digital Dissidence & Political Change: Cyberactivism and Citizen Journalism in Egypt,” with Palgrave Macmillan in 2015. She holds a master’s of science in Foreign Service from Georgetown University and a bachelor’s degree with highest honors in mass communication from the University of California, Berkeley. She speaks Arabic, French, and Spanish. 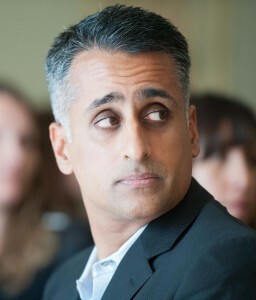 Sanjay Rawal is an Indian American development consultant and filmmaker who focuses on the links between our sustenance and the thousands of anonymous workers who grow it in the fields — many of whom experience wage theft and physical or sexual abuse. After working in the nonprofit and government sectors for 15 years, he decided to put what he learned to work in the media. Mr. Rawal served as a consultant to documentary filmmakers and then branched out as a filmmaker himself with “Ocean Monk,” which took the Best Short Doc Prize at the 2010 St. Louis Film Festival, and “Challenging Impossibility,” which premiered at Tribeca in 2011. Now, Mr. Rawal is speaking to an even larger audience with a feature-length documentary called “Food Chains.” The film, which premiered at the latest Berlinale, describes the challenges that farm workers endure despite years of work by leaders such as Cesar Chavez. “‘Food Chains’ reveals the human cost in our food supply and the complicity of large buyers of produce like fast food and supermarkets,” said a spokesperson. In his work in development strategy, Mr. Rawal has assisted in the launch and management of a number of high-profile celebrity philanthropic endeavors both domestically and abroad. The UC Berkeley graduate in molecular and cell biology and neurobiology has also assisted in the development of private equity investments in agriculture. Christina Sambor is a 2014 Bush Foundation Fellow and is the Coordinator of FUSE, the statewide anti-trafficking coalition in North Dakota. FUSE is breaking new ground in North Dakota by leading and facilitating cross-disciplinary cooperation, education and coordination in the fight against commercial sexual exploitation. Prior to joining FUSE, Ms. Sambor worked in the private practice of law in Bismarck, North Dakota and clerked for the Honorable Charles S. Miller at the United States District Court in North Dakota. 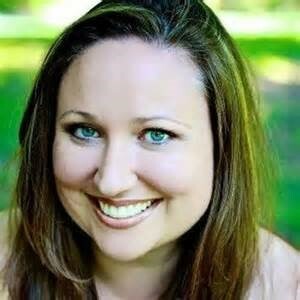 She was also a Senior Legal and Policy Fellow with the Polaris Project, a national leader in the fight against human trafficking in the United States. During law school, she clerked for the Major Crimes Division of the Los Angeles County District Attorney’s Office and also spent a summer in Chiang Mai, Thailand, conducting direct outreach and vocational rehabilitation for sexually exploited women. At 16 Ingrid Stange was so bored with school that she dropped out. Nine years later, she finished her MBA at Berkeley as a Fulbright Scholar, and she also graduated from the Norwegian School of Economics and Business Administration. In the meantime she had studied art and design, and finished the exams from high school privately. She promised herself that if she ever had children, she would provide inspiration rather than boredom for them. This is how she became engaged in the establishment of the first Montessori School in Norway in 1990. Her experience taught her several truths: (1) children and youth have unlimited energy, potential and inspiration – it is the responsibility of adults to help unleash it; and (2) the entrepreneurial spirit of youth has no boundaries. If we build boundaries for them, the spirit will be lost, and in some cases be used negatively. If we give them the right tools to be entrepreneurs, we will see a world of change makers. As a business woman, Ms. Stange has never been satisfied with “bottom line” thinking. When she left traditional business to prioritize social impact in the mid-80s, this was seen as stepping aside. Today, this is mainstream among young leaders and entrepreneurs worldwide. Business leaders and professionals all over the world are joining the movement led by unique individuals like Jeff Skoll, Bill Drayton, Jacqueline Novogratz, Bill Gates and Richard Branson. Inspired by organisations such as Skoll Foundation, Ashoka and Acumen Fund, Ms. Stange established philanthropy advisory services at Formuesforvaltning in Norway in 2007, with the purpose of offering pro bono advisory services to interested clients. “The move from traditional grant-giving charity to more impact oriented funding – whether as grants or as investments – has grown stronger over the past decade. The social responsibility of business has also become evident to most business leaders”, Ingrid says. In 2010, Ingrid began working with the Norwegian Opera and Ballet to co-organize the first Partnership for Change conference. In 2012, she founded the Partnership for Change foundation, which promotes a vision of a more equitable, a more secure, and a more sustainable global society. Tuija Talvitie has been the Executive Director of Crisis Management Initiative (CMI) since November 2009, where she leads the execution of CMI’s mission and the implementation of CMI’s strategy. Ms. Talvitie has over twenty years’ experience in international leadership, social development and more recently in conflict resolution. She emphasises multi-stakeholder, inclusive approaches, innovation and ethical leadership. During her time, CMI has more than quadrupled its turnover and staff, and continues to grow at a steady pace. 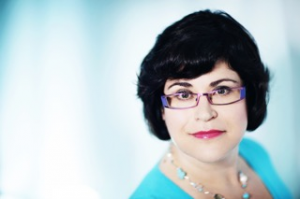 Prior to joining CMI, Ms. Talvitie was the Director of British Council Finland where she led the organisation’s transformation to a cooperative, project based actor and played an active role in the leadership team of North and Central Europe. She was CMI’s board member from 2005 to 2009 and sits on the boards of various international and Finnish think tanks and NGOs. She holds an MA in English Philology and International Politics from the University of Helsinki. Crisis Management Initiative, a Finnish non-profit organisation that works to prevent and resolve conflicts, was founded in 2000 by Martti Ahtisaari, the 2008 Nobel Peace Prize Laureate. H.E. 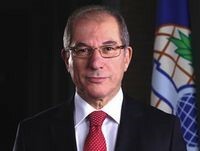 Mr Ahmet Üzümcü was appointed Director-General of the OPCW in December 2009 by the 14th Session of the Conference of the States Parties to the Chemical Weapons Convention and began his first term of office on 25 July 2010. He was reappointed for a second term at the 18th Session of the Conference of State Parties in December 2013. Immediately prior to his appointment as OPCW Director-General, he served as the Permanent Representative of the Republic of Turkey to the United Nations Office at Geneva. Ambassador Üzümcü is a career diplomat with vast experience in multilateral diplomacy. During the past decade he has represented Turkey at the NATO Council, the Conference on Disarmament, the United Nations and other international organisations in Geneva. Ambassador Üzümcü chaired the Conference on Disarmament for four weeks in March 2008. He has a thorough understanding of and considerable expertise in political-military affairs, disarmament and proliferation issues. Previously, Ambassador Üzümcü served as Deputy Undersecretary of State for Bilateral Political Affairs at the Turkish Ministry of Foreign Affairs. From June 2002 to August 2004, he was the Permanent Representative of Turkey to the NATO Council in Brussels. He held the post of Ambassador of Turkey to Israel from 1999 to 2002. From 1996 to 1999, he headed the Personnel Department at the Ministry of Foreign Affairs. Prior to that, he served in various posts at the Ministry, as well as at the Turkish delegation to NATO (1986-1989), the Turkish Embassy in Vienna (1979-1982) and as a Consul in Aleppo, Syria (1982-1984). In addition to his diplomatic experience, Ambassador Üzümcü served in an international capacity as a staff member of NATO’s Political Directorate from 1989 to 1994, where he contributed to work on NATO’s Partnership for Peace initiative in the immediate aftermath of the Cold War and travelled extensively in Eastern European countries and the former USSR. Ambassador Üzümcü was born in Armutlu, Turkey on 30 August 1951 and holds a Bachelors Degree in International Relations with a specialisation in Public Administration from the Faculty of Political Sciences, Ankara University. He speaks English and French fluently, is married and has a daughter. Ambassador Üzümcü received the 2013 Nobel Peace Prize on behalf of the OPCW in December 2013. In January 2014, he was awarded the Medaglia d’Onore and the Sigillum Magnum by the University of Bologna in Italy. Mr. Walker is the Director of Green Cross International’s Environmental Security and Sustainability program, a program that he has led since its inception in the mid-1990s. He is also the Manager of the Washington DC office for Green Cross International, founded in 1993 by Mikhail Gorbachev and headquartered in Geneva, Switzerland. Mr. Walker is a former Professional Staff Member of the Armed Services Committee in the U.S. House of Representatives where he served as a senior advisor to the Chairman and full committee. He is a Vietnam-era U.S. Army veteran. Mr. Walker has worked, spoken, and published widely in the areas of international security, threat reduction, non-proliferation, environmental remediation, and weapons demilitarization for over three decades and took part in the first on-site inspection by US officials of the Russian chemical weapons stockpile at Shchuch’ye in the Kurgan Oblast in 1994. Since that time he has worked closely with the Organization for the Prohibition of Chemical Weapons (OPCW), US and Russian officials, the Cooperative Threat Reduction (CTR) Program, the G-8 Global Partnership, and other multilateral regimes to help foster cooperative, timely, and safe elimination of nuclear, chemical, and biological weapons and related systems. In December 2009 at the 14th Conference of the States Parties in The Hague, Mr. Walker led the effort to establish the CWC Coalition, an international NGO network to support the Chemical Weapons Convention and OPCW. He is also a founding member of the Fissile Material Working Group, which supported the 2010, 2012, and 2014 Nuclear Security Summits. Mr. Walker holds a Ph.D. in security studies from the Massachusetts Institute of Technology; an M.A. from the Johns Hopkins School for Advanced International Studies; a Russian Honors Certificate from the Defense Language Institute of the West Coast; and a Post-Doctoral Fellowship from the Center for Science and International Affairs at Harvard University. 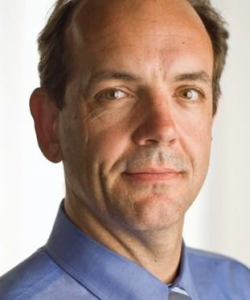 Daniel Wordsworth serves as President and CEO of the American Refugee Committee, an international humanitarian aid agency that works with refugees around the world to help them take back control of their lives. During his tenure, the organization has expanded its programming into Somalia, the Democratic Republic of Congo, Myanmar and Syria. In 2012 the organization was awarded the Peter F. Drucker award for Non-Profit Innovation in recognition of its work with the Somali Diaspora globally. Mr. Wordsworth joined the American Refugee Committee in 2009, after 12 years with the Christian Children’s Fund (CCF), where he most recently served as Vice President of the Asia Region, based in Thailand. During his tenure, he built the foundation of CCF’s emergency response programs in East Timor, Sierra Leone, India, Afghanistan, and Northern Uganda. Prior to joining the American Refugee Committee, Mr. Wordsworth led a team engaged in for-profit business start-ups in China. He has also lived and worked with the urban poor in Australia and Hong Kong. Over the last 15 years, Mr. Wordsworth has lived in China, India, Vietnam, and Thailand. He has written numerous publications on children and poverty. He started his career in the Royal Australian Navy. Dr. James Movel Wuye is a pastor from Assemblies of God, and co-director of the Interfaith Mediation Center of the Muslim-Christian Dialogue in Kaduna, Nigeria. Dr. Wuye was the son of a soldier who served in the Biafran War. During the 1980s and 1990s he was involved in militant Christian activities. For eight years, he served as Secretary General of the Kaduna State chapter of the Youth Christian Association of Nigeria, an umbrella organization for all Christian groups in Nigeria. His hatred for Muslims was without limits. He hated seeing people being intimidated and abused, so when Muslims were blamed for inciting a violent conflict in Kaduna, he immediately volunteered to lead a reprisal attack. He lost his right arm during one of the battles against Imam Muhammad Ashafa’s militant group, increasing his vengeance and deep hatred for Muslims in general and Mr. Ashafa in particular. Their work has earned them numerous awards, including the Peace Activist Award of the Tanenbaum Center of Interreligious Understanding, New York; Honorary Doctorate degrees from Boston University, USA, Glasgow University, UK, and Kolkata, India; a Heroes of Peace Award from Burundi; the Search for Common Ground on Interfaith Cooperation Award, Washington DC, USA; the Bremen Peace Award from the Threshold Foundation on Interreligious Understanding, Germany; the inaugural Fondation Chirac award for Conflict Prevention, presented to them by former French President Jacques Chirac and the 2014 German-Africa Prize. 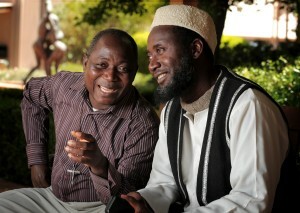 Imam Ashafa and Pastor Wuye are the subjects of the documentary film The Imam and the Pastor; a moving story of forgiveness and a case-study of a successful grass-roots initiative to rebuild communities torn apart by conflict.